I haven't had an In Pictures post for a few months now and I think one is in order. 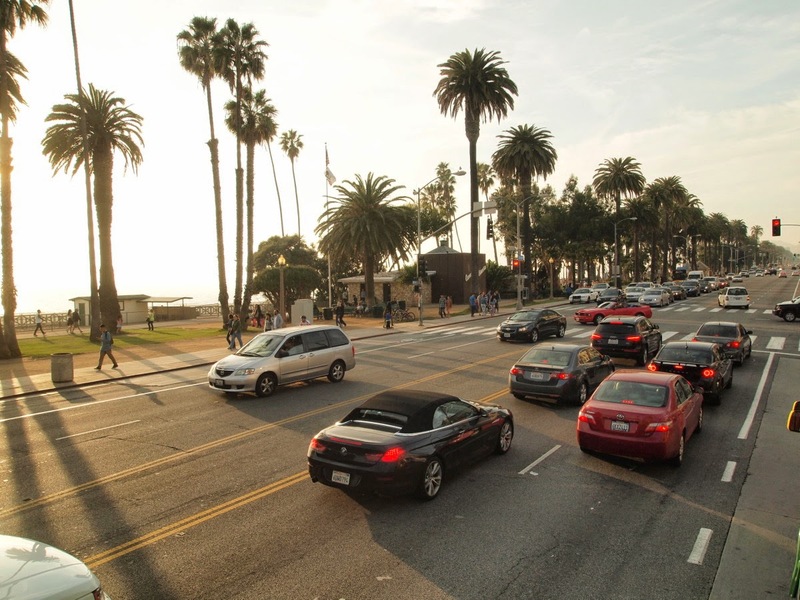 For this week, I am featuring a glimpse of the SoCal beach culture, in Sta. Monica and Venice Beach, California, which I visited a few months ago. I actually didn't plan to go to Sta. Monica, as I was going to take the hop-on, hop-off bus from Hollywood and go around Los Angeles. Somewhere in Beverly Hills I saw another bus that goes all the way to the coast, I boarded it and I ended up on the beach. Since it was unplanned, I was wearing jeans and felt so overdressed. The first thought that came to my mind when I alighted from the bus in Ocean Boulevard was that I am going to see the Pacific Ocean from the other side! I crossed to Palisades Park, which was built on top of the coastal bluff parallel to the boulevard. The tree-lined parked has lots of people milling about - tourists, buskers and locals doing about their business. From the park I can already see the Pacific Ocean, bounded by the beach which is dissected by the Santa Monica Pier. I walked along the shade of the trees, carefully avoiding a group of skaters barreling on the pavement. From there I went down through a path to the beach, and smelled the fresh ocean spray for the first time in a few months. I walked along the Ocean Front walk, a path parallel to the beach, and ventured near the water. I was tempted to get my feet wet, but didn't, not even removing my shoes as I wouldn't want sand inside them, but contented with enjoying the view of the ocean and the cool breeze wafting on me. I doubled back, and went to the Sta. Monica Pier. The Sta. 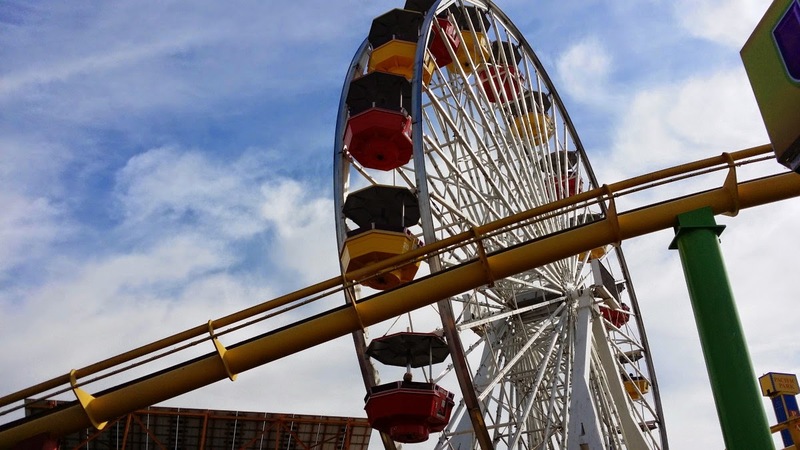 Monica Pier is like a collection of amusement parks set on the beach. There are rides and a Ferris wheel (and a Cirque de Soleil just beside it) and full of people. On every corner there are hot-dog stands and stalls selling trinkets and souvenirs. 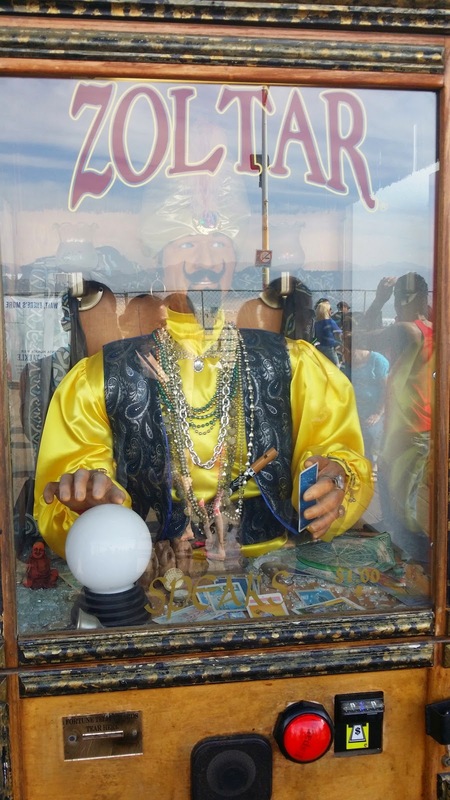 I even saw Zoltar, the mechanical fortune teller that got famous in that Tom Hanks movie, Big, in the Looff Hippodrome, an amusement park (and a National Historic Landmark) in the nearby Newcombe Pier. After exploring the pier I went down to the beach again, on the other side to the direction of Venice Beach. 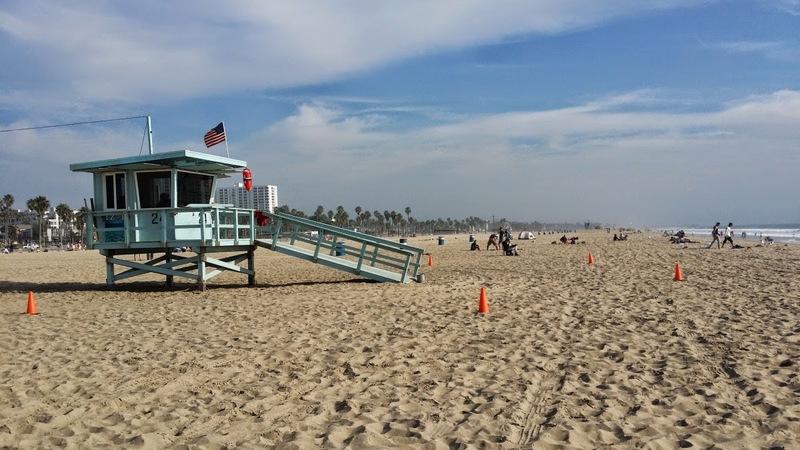 I noticed a lot of lifeguard stations on the beach as I was walking, realizing that the area was the setting of the popular TV series Baywatch. I was half-expecting to see a bikini-clad Pamela Anderson, running on the beach in slow motion. Outdoor gymnastics. Probably auditioning for Cirque du Soleil down at the beach. I also noticed a lot of people, shirtless or in gym clothes, working out or doing gymnastics on the beach. 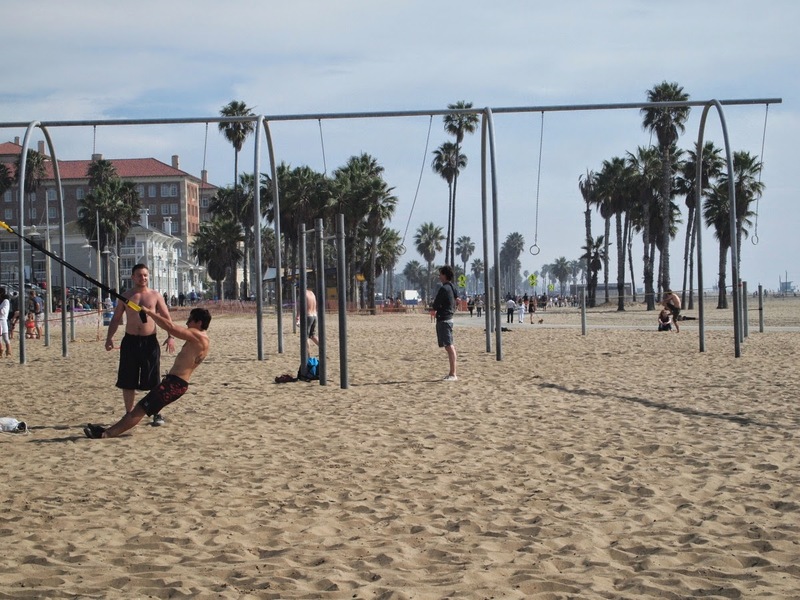 The area used to have the so-called Muscle Beach, a popular section of the beach where bodybuilders and fitness enthusiasts gather to work out and show off their bodies, attracting bodybuilding pioneers like Steve Reeves and Arnold Schwarzenegger. 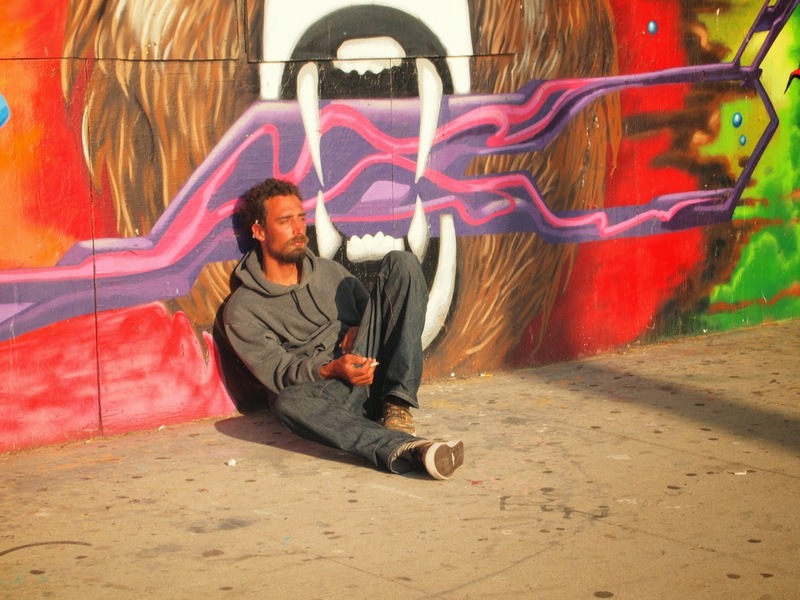 It was closed a few decades ago, but a new one was opened near Venice Beach. There were also a few surfers. Since it was winter, most of them are in full body suits. The water's probably too cold for me even if I wanted to surf at that time. 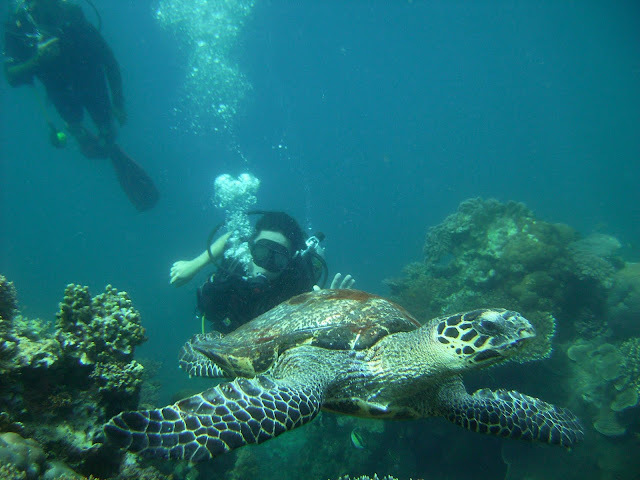 I read before that the place is very popular with surfers and in fact, the surfing culture that we know now originated in this area in the 1960s. In one of the areas where they rent out surfboards I saw a burger joint. I ordered a big juicy one with a side of fries, and found myself a corner to take my very late lunch. 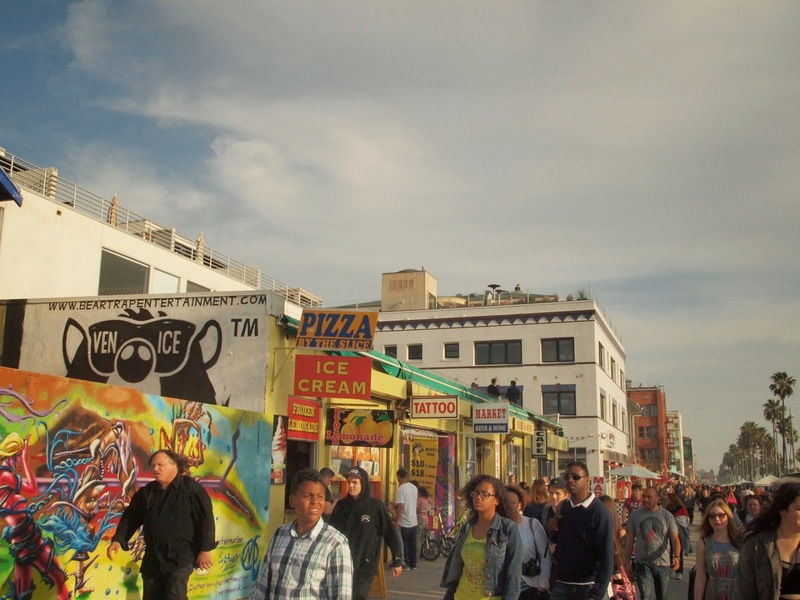 Then I continued to Venice Beach. 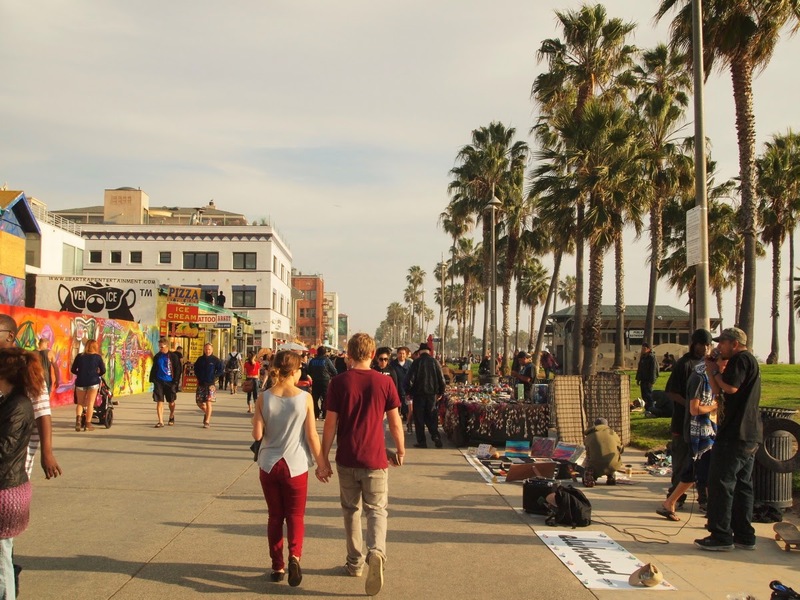 Venice Beach is the more bohemian in character. In fact when I got to the boardwalk the first thing I tweeted was that the place smelled of "ocean spray with a hint of weed." 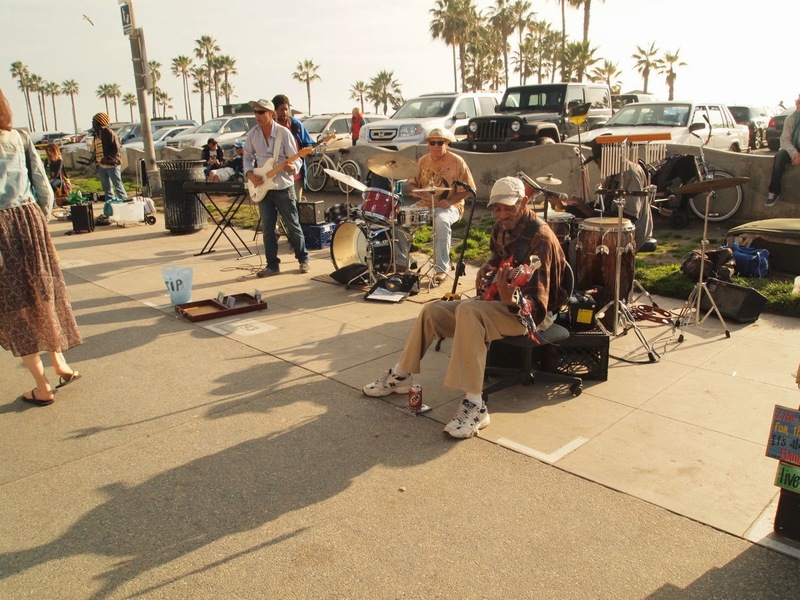 There are lots of colorful characters in the boardwalk too - musicians with more street cred than two-bit bands on MTV, hippies who probably haven't heard of shampoo, New Age practitioners, tattooed bikers in leather, starving artists, and more surfers. What's being sold in shops along the boardwalk is just as interesting as the people who sell them. One stall have all sorts of crystals and amulets, sold by a group of New Agers. 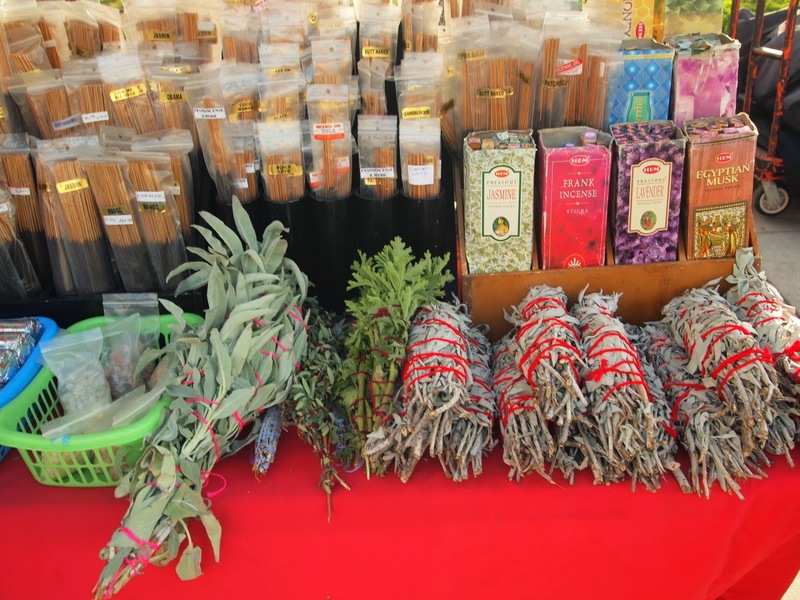 Another sells incense and different kinds of "herbs." Just further along an artist is selling her "art," which are mostly objet d'arts shaped like skulls. Others just sell services, like palm reading, or tattoos. 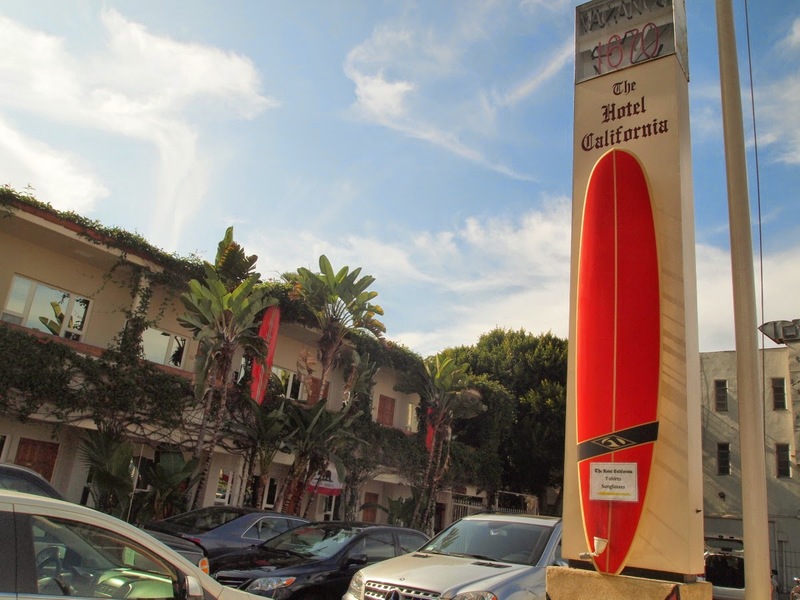 Several shops renting out surfboards are interspersed with bars and coffee shops, lending the place with that hipster vibe. I stayed around the place until it was almost late afternoon, then I headed back to Hollywood, where I'm staying. 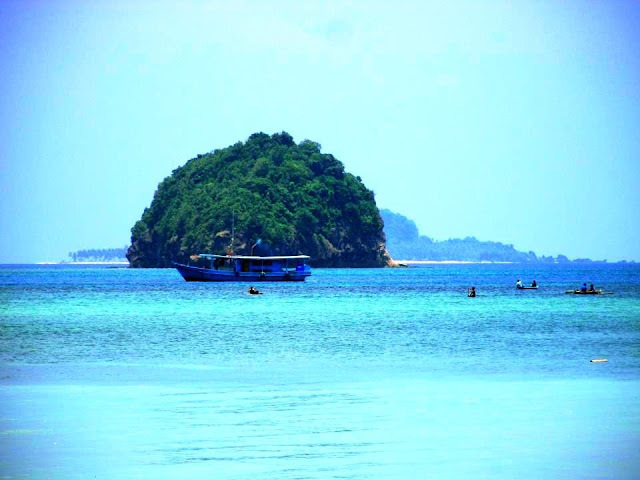 I'd like to try surfing here if I'd visit the place again, and probably try working out on the beach too. You may take the Big Blue Bus from Los Angeles to Sta. Monica and Venice Beach. Line 2 goes from Wilshere Boulevard to UCLA-Westwood then to Sta. Monica . Fare is $2. 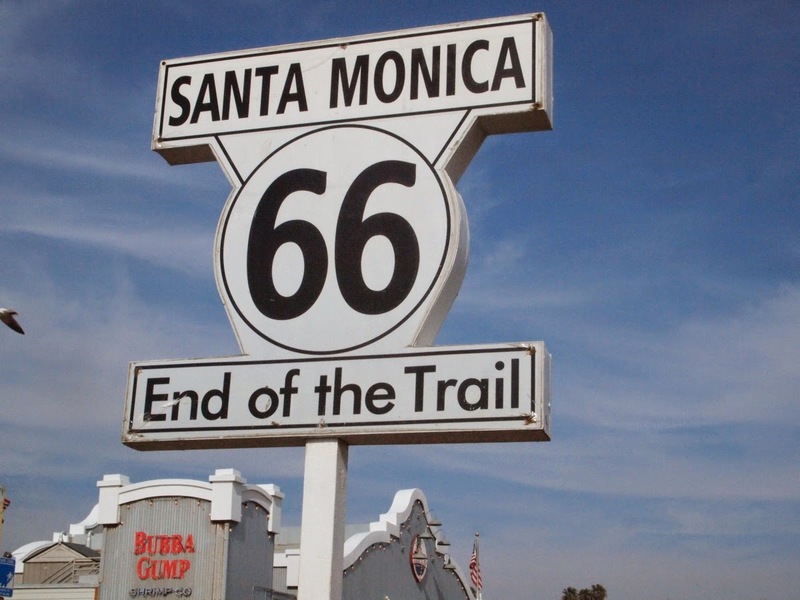 If you're somewhere in the US and you drive, you may also take Route 66. It ends up in Sta. Monica.